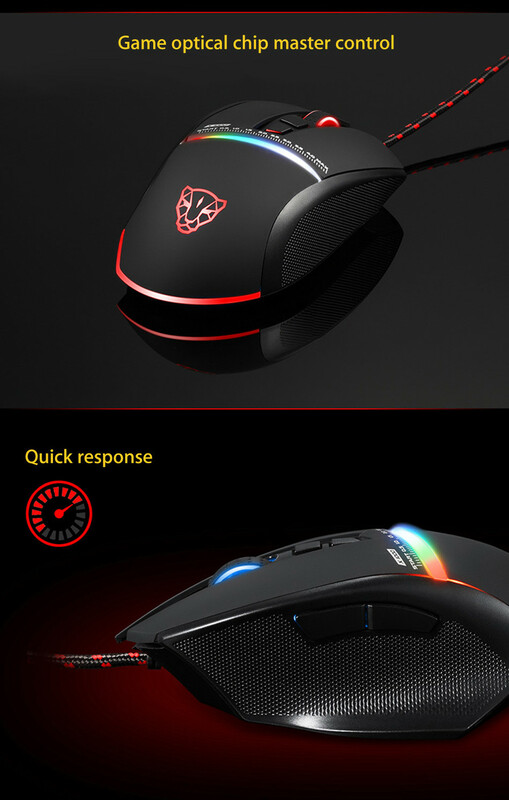 ● Programmable Design: 7 buttons can be programmed by installing software, you can personalize your mouse to fit you needs. 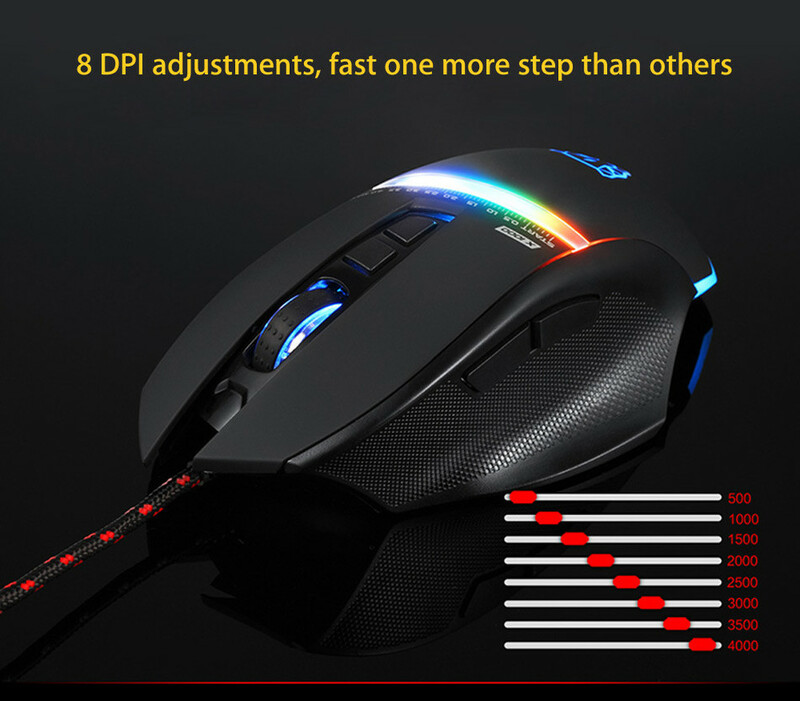 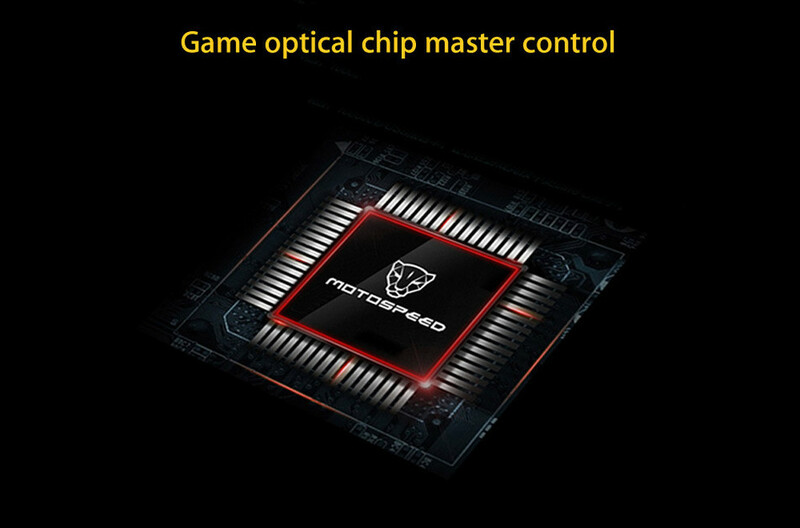 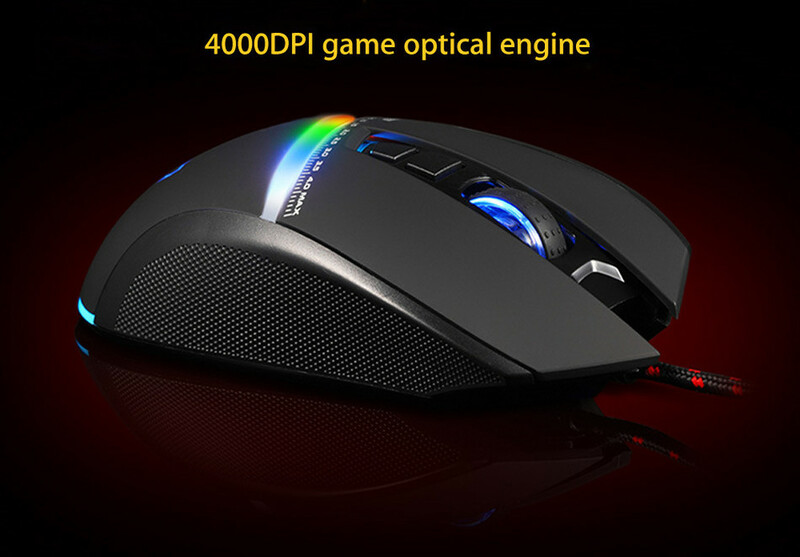 ● Rapid Movement: setting your mouse with max 4000DPI to gain the advantages over your opponents and command the speed and sensitivity accurately. 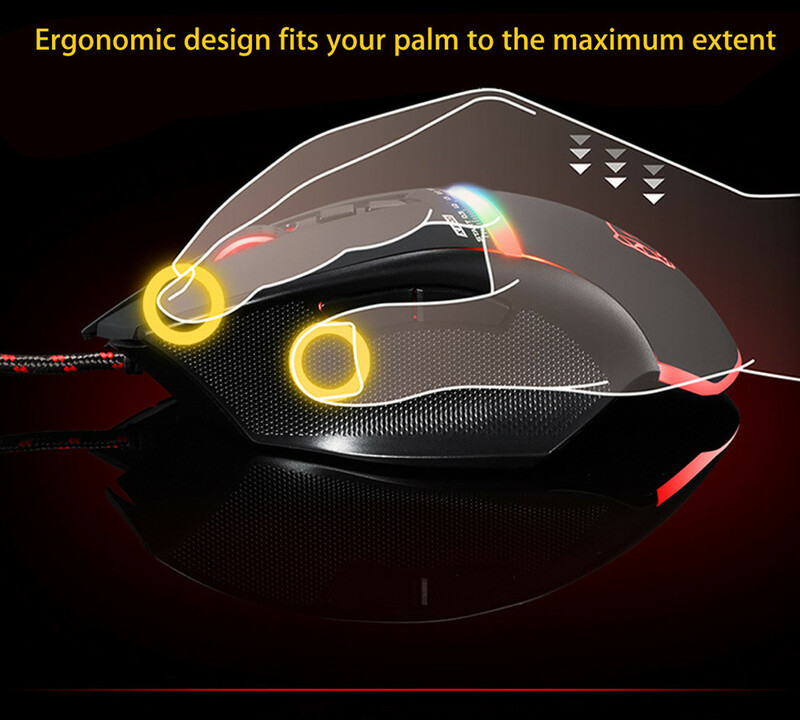 ● Ergonomic Design: comfortable and great hand-feeling, can be used for a long time without fatigue. 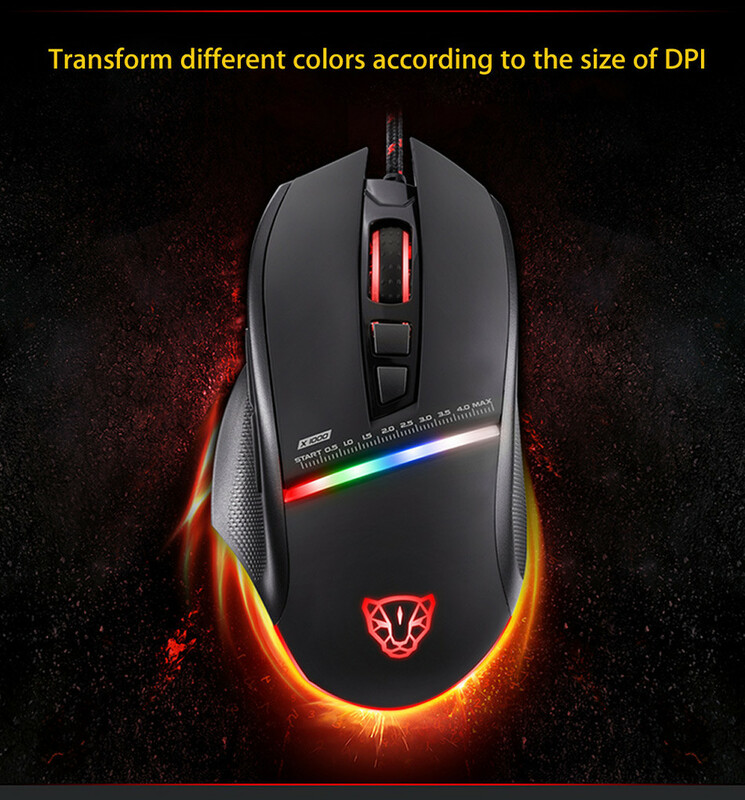 ● Easy Installation: plug and play, no need any drive, easy to use.